The Sierra Nevada mountains still have snow in the high country this summer. The outdoor destinations this season may be the lower elevations (5000'-7000') with abundant water flow in all the rivers, the creeks, the lakes and the reservoirs. Amazing wildflower blooms are still going on the Big Sur Coast, NorCal, and Sierra foothills. California is glorious this year with all the water and flora, so get out and enjoy nature - it's free! Total Escape wants to be your local travel resource, for California & the westcoast. We choose to list no chain hotels, no amusement parks & no casinos. This is authentic Cali, al natural. Our deal is nature, wilderness, outside, mother earth & you know you need it: Glad you're finally here! 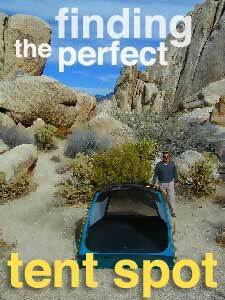 Click photo above for discovering the Total Escape has California A to Z, every destination immaginable. Real places, parks, forest, rivers, lakes. Browse more than 10 years worth of real photos. California orchards have already blossomed, high deserts are peaking, coastal foothills are alive with color and the Sierra Nevada is next. Our best wildflower season ever is now underway. 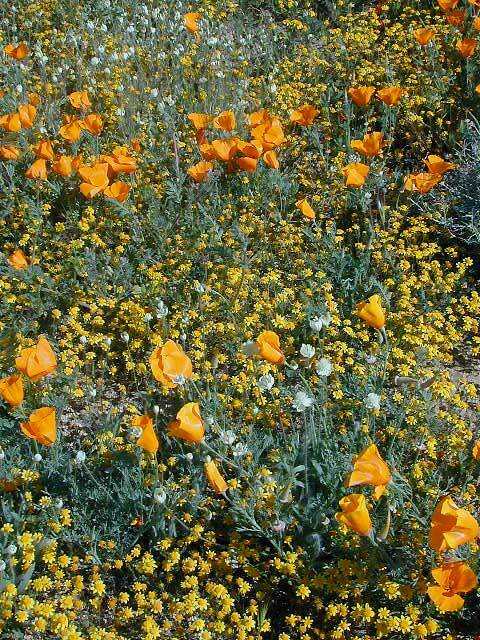 Recent Spring rains have extended the bloom and we have amazing colorful flora - all over the state. Go see it sooner than later, cuz time and mother nature waits for no one. First you master your gear. Researching, shopping and buying the best tent for your needs. Second you discover a location, an ideal camp site, maybe with a creek, or a wonderful view. Now you are out there, unloading it all, enjoying fresh air and the great outdoors. Now you will choose your outdoor bedding room - for a few nights, or a week.